Since school is starting tomorrow (ugh), I guess it's finally time to welcome fall into our lives. I truly love the season, but it's often a hard transition from the carefree, sunny summer days, you know? One thing that has made it easier to endure the cooler temperatures is this awesome military jacket I just ordered from Gap. I originally wanted it on in the olive green thinking it would look great on me, only to realize that it was definitely made for someone with a lighter skin tone (aka, it washed me out completely). Lucky for me, I realized it came in navy and instantly fell in love with it. Plus, it has a hood which makes it an instant winner in my book. If you're not one for the olive green trend but still want to jump on the military jacket bandwagon, then this jacket is for you! Per usual, I paired it with my favorite gingham shirt and white chino shorts. Gotta get wear out of my summer essentials before the leaves start to fall! Are you a fan of the military jacket? I'm seriously OBSESSED with every thing in this post. From the tortoise shell, to the Jack Purcells, and that jacket!!!! It sooo cute. You may have just convinced me to buy one for myself! Oh and you're cute as a button, per usual! 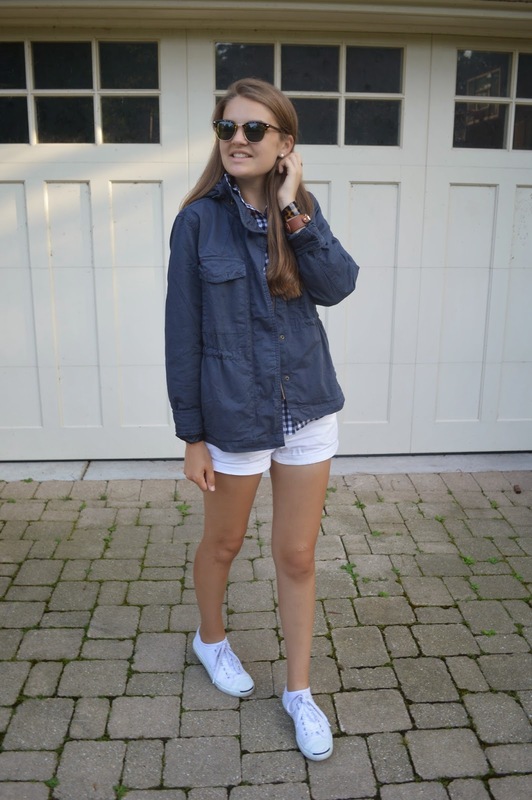 Love military jackets! 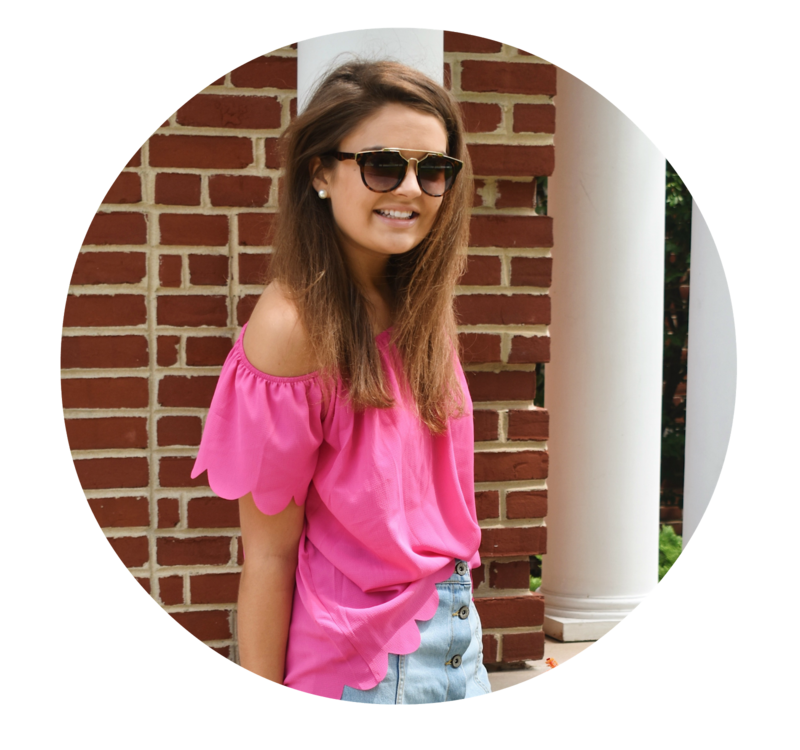 They are always perfect for transitioning into fall! 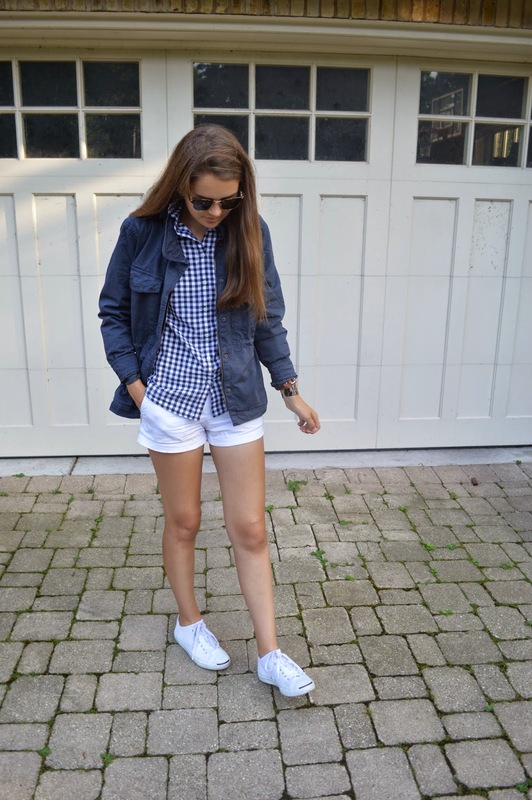 Super cute look...can't go wrong with a military jacket and gingham shirt! That jacket is going to be perfect come fall! If it was mine I'd probably end up wearing it everyday! such a cute and classic outfit. i have a similar jacket in olive green and literally wear it alllllll through the fall. you will love it! Love this look. Such a classic! Navy or nothing!! love this outfit! 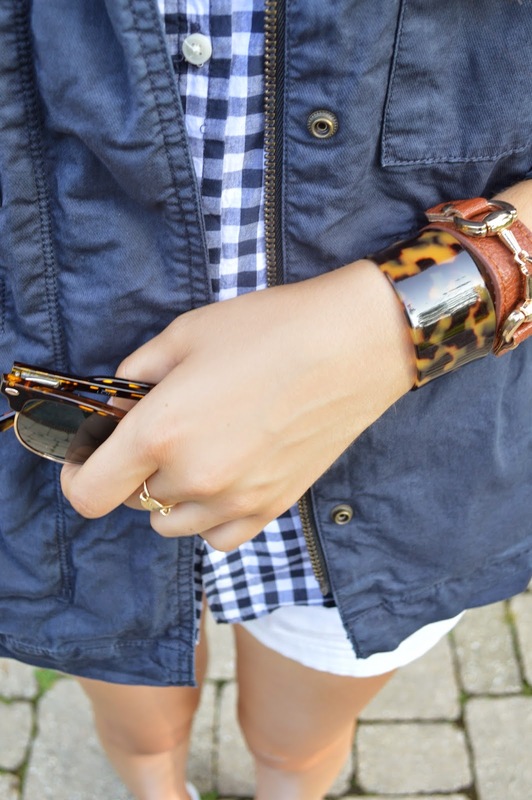 and that navy jacket is to die for! i definitely need it! I love that military jacket! I've had my eye on the J. Crew field jacket for a while but I may have to check this one out next time I'm at the Gap. You're adorable girl! That jacket in navy was already the right choice, love it! Such a cute look! I love the way you styled this!